How Do You Start Buying Notes In Jacksonville? 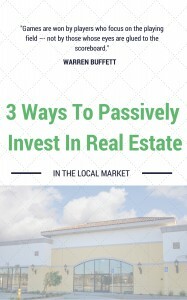 Many people first come to real estate investing by investing in properties – structures and houses on land. Then, as they learn more about investing, they discover that there’s a bigger world out there, including real estate notes. Notes may not replace property investments but they’re a great addition for real estate investors because they offer a way to diversify and get cash flow, without all of the headaches and hassles of owning a house. Start by reading about notes. Get the basic ideas about them and how they work. Learn their benefits and drawbacks. Compare them with the types of investing that you might be familiar with. Take notes. Plan to research a little each day for a week or two. This will give you a good foundation into what notes are and how to invest in them. As you study, you’ll undoubtedly have questions. Write those questions down. 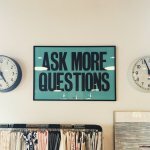 Some of the questions will be answered as you continue researching but you may end up with other questions that you don’t know the answer to. That’s okay. List all the questions you have. Find someone who will take the time to answer some of your note questions. We always love talking to new investors about how to start buying notes in Jacksonville and we’d be happy to take a few minutes on the phone with you – just call us at (800) 868-0388 and ask your questions! We look forward to meeting you. Okay, this might seem like a big step but there is really no better way to learn how to buy notes than to… actually, buy a note! Start out with a small, affordable note. Just buy one and see how the process works. We’d be happy to walk you through the process. If it turns out that it’s not for you, you can always sell your note and move on… but the very best education is hands-on experience! If you want to broaden your horizons and start learning more about notes and to understand the answer to the question, “How do you start buying notes in Jacksonville?” then just follow these 4 steps above and you’ll find most of the answers you need. Here at Acumen Investments, LLC we’d love to spend some time with you to talk about notes and show you what notes we have available. You can get in touch by calling us at (800) 868-0388 or by clicking here and filling out the form. What Are The Risks of Note Buying in Jacksonville?